bride.ca | Easy Favours & Décor: Coasters! Remember the coaster? 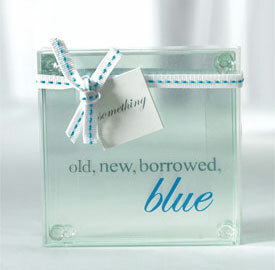 You know, that little thing you had to put under your glass so that you wouldn't ruin your mom's new dining room table? Well, guess what? 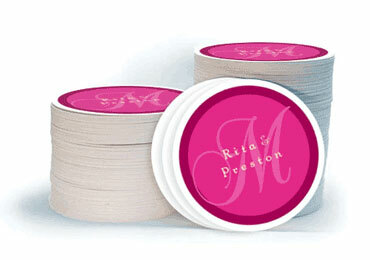 Coasters are back in style and they are very popular for weddings.. The quick and easy route to having coasters at your wedding is simply to buy them ready made. Most of your favourite wedding favour stores offer coasters in a variety of themes, like beach themes, eco-friendly themes, and love themes. All you have to do is visit any one of these online stores to order the perfect coasters for your event. Since they are usually sold in packs of four, you would have to separate the packs if you were to put them to use during the reception. Coasters give you lots of style options as you can arrange to have them customized to match your wedding décor or you can have them personalized to include your names or initials. Feeling creative? 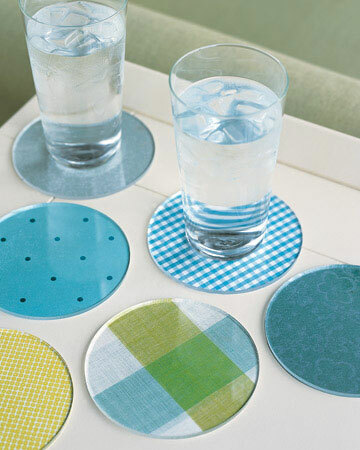 Making your own coasters is one of the simplest "do-it-yourself" projects you can take on for your wedding. Visit your local plastic supply company and have plexi glass circles cut in 4inch diameters. 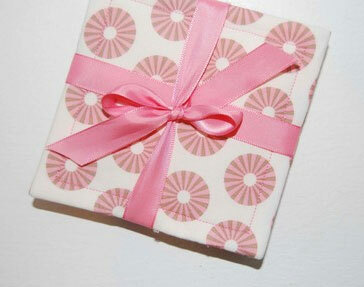 Choose decorative paper to adhere to the circles – paper should compliment your overall décor. Spray the paper with adhesive and attach to the plexiglass circles. Trim by tracing the paper around the circle with a utility knife. Ensure that one coaster is placed at each table setting. 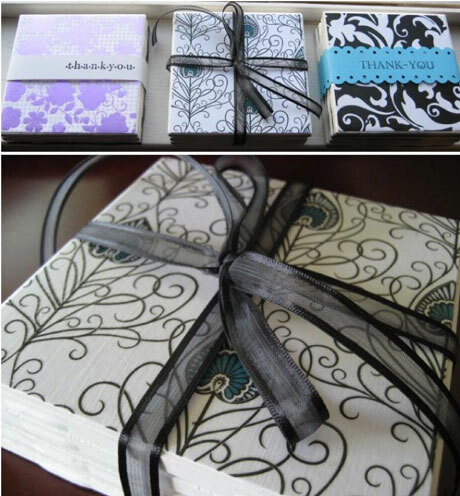 If the coasters are to serve as favours as well as table décor, wrap a ribbon around each one to make them stand out or make sure the decorative paper includes a thank-you and your names and wedding date. Visit your local home renovation store to purchase small tiles. 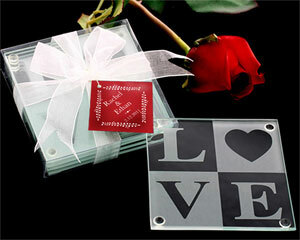 These are an excellent substitution for plexi glass. They are already cut to size and are very inexpensive (usually less than $1 per tile).